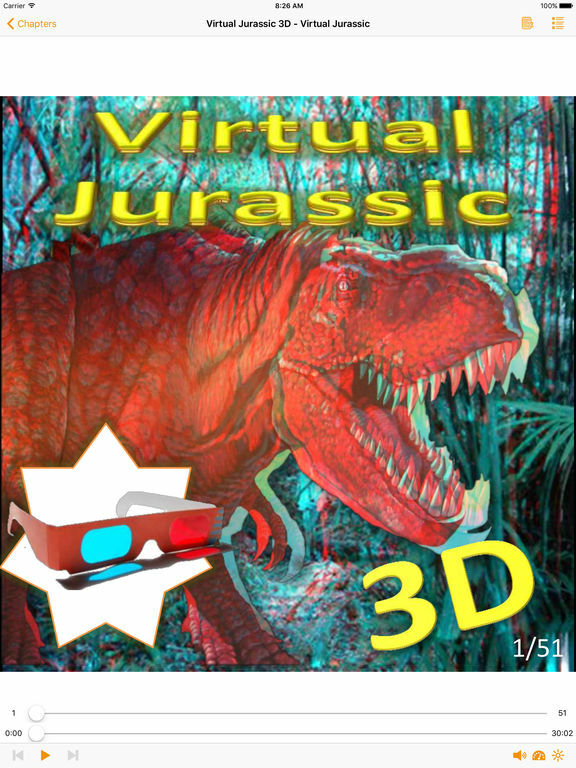 Welcome to the exciting world of 3D, which will take you to live and learn in an impressive experience with the most spectacular images of dinosaurs that come out of the screen of your device? 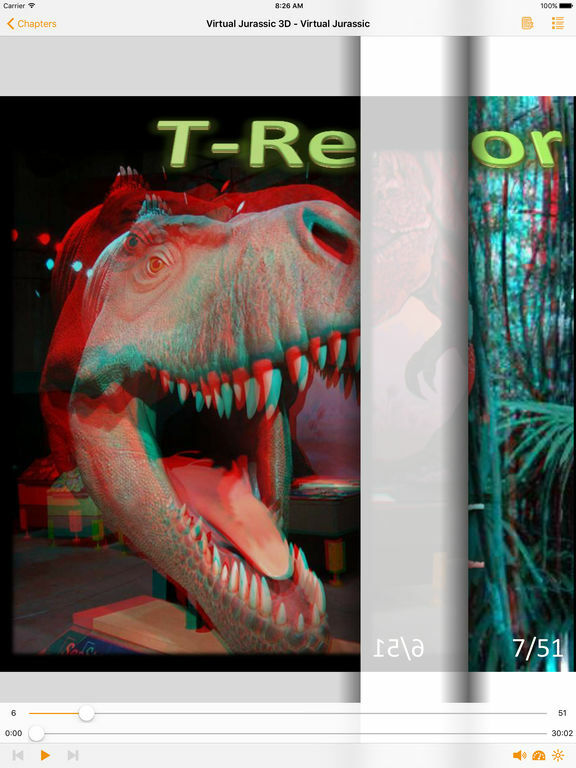 Using stereoscopic imaging technology with 3D goggles can simulate the three dimensions in certain two-dimensional images. Looking at the screen without those glasses, you will see two images of sync, with blue and red. But, to put on the glasses, we see a single image in three dimensions. In this audio book will also find an instructional guide for you to build your 3D glasses in easy and economical, and very common and basic materials. 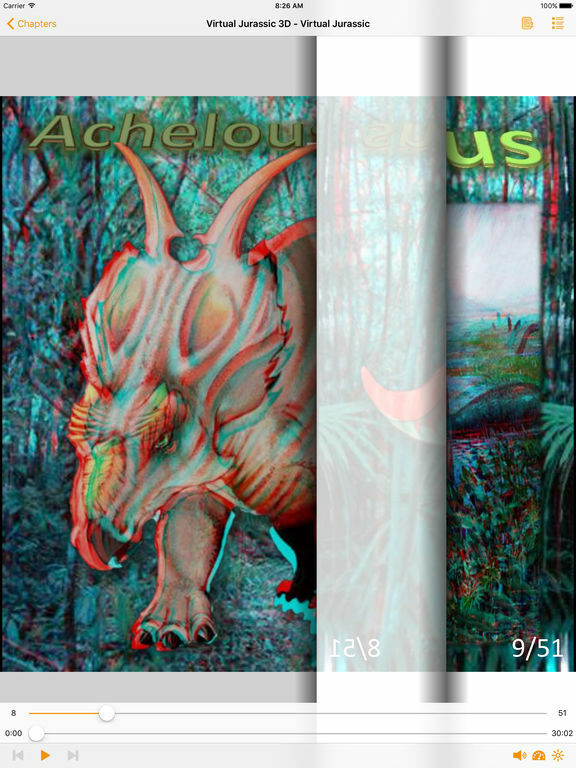 Using stereoscopic technology, this audiobook presents you with stereo images or 3D image (three dimensional) that allows collecting three-dimensional visual information or creating the illusion of depth in an image. The illusion of depth in a photograph, film, or other two-dimensional image is created by presenting a slightly different image to each eye, as is usual to collect reality. 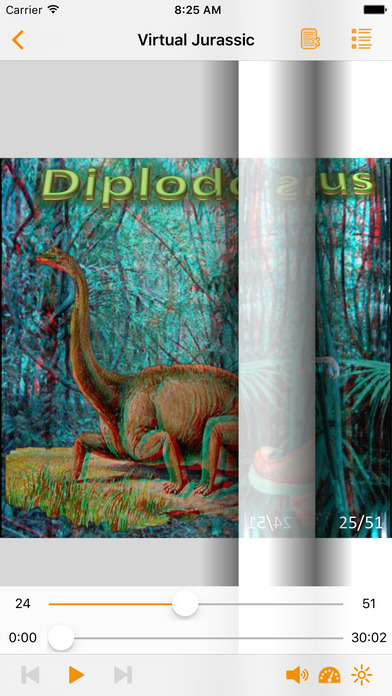 Now, the first step before enjoying your application, you create your 3D glasses, which is shown in the application, you only need cardboard and cellophane or acetate. Once you have your 3D glasses, and placed armed. A dive into the Jurassic world be passionate.